Part I. An "Open World"
Part I is devoted to Niels Bohr's mission to promote an "open world" between nations, that is, full sharing of information in the scientific and technical, as well as in the cultural spheres the scientific and technical, as well as in the cultural spheres. He started his mission immediately upon escaping from Nazi-occupied Denmark in the autumn of 1943, when he realized that the bomb was on the way to becoming a reality. As he wrote in 1944, he considered that the existence of the atomic bomb "would not only seem to necessitate but should also, due to the urgency of mutual confidence, facilitate" the realization of an open world. During the Second World War, while being actively involved in the Allied atomic bomb project, Bohr was able to obtain access to Prime Minister Churchill and President Roosevelt to promote his view. After the war he continued his confidential approaches to the statesmen while publishing more generally oriented articles on the issue. Although Bohr put in as much work in appeals to the statesmen as in his other writings, they were not intended for publication. This has called for the inclusion of a greater number than in earlier volumes of the Collected Works of previously unpublished documents as well as a particularly extensive historical introduction written by the editor. The material adds up to a fascinating sotry of the political dedication and social responsibility ofone of the major scientists of the twentieth century. 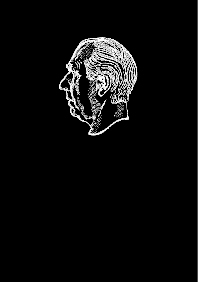 Part II documents Bohr's other social and political activities, such as his long-time presidency in the Royal Danish Academy of Sciences and Letters and his promotion of the peaceful uses of atomic energy. Taking a broader approach than most of his other publications, these occasional writings, which are most often published versions of talks at public events, are particularly well suited to present Bohr to the general public, as a thinker as well as a person. The book is directed to a general audience, with some interest in the field. Finn Aaserud was educated in physics at the University of Oslo and in the history of science at Johns Hopkins University, Baltimore. He was Associate Historian at the AIP Center for History of Physics in New York before becoming Director of the Niels Bohr Archive in Copenhagen in 1989. Niels Bohr Archive, Copenhagen, Denmark.